Euro Pen and Pencil Set. Black finish, solid brass caps and barrels. Mechanically and laser engravable. Packaged in a molded gift box. Executive Desk set is the most impressive desk set in crystal. It is solid yet very functional. It will awe any recipients. 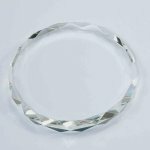 Our striking Faceted Circle Crystal Award is made of clear optical crystal, and is hand cut and polished to give it its beautiful finish. This piece is ideal for laser engraving and sand blasting, which will allow you to give it the ultimate personalization to please anyone. All of our crystal awards come to you in a Premium Presentation Box, which is lined with fabric and a magnetic catch. 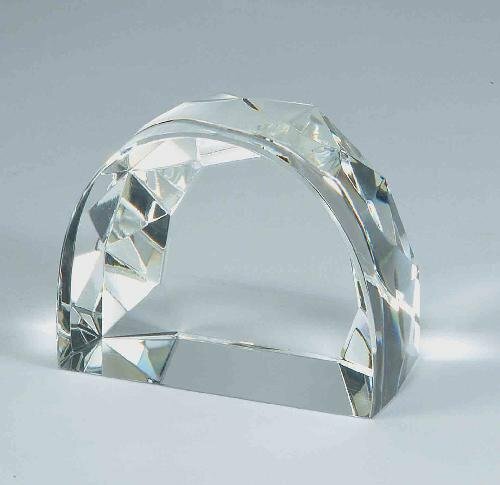 Our striking Faceted Dome Crystal Award is made of clear optical crystal, and is hand cut and polished to give it its beautiful finish. This piece is ideal for laser engraving and sand blasting, which will allow you to give it the ultimate personalization to please anyone. 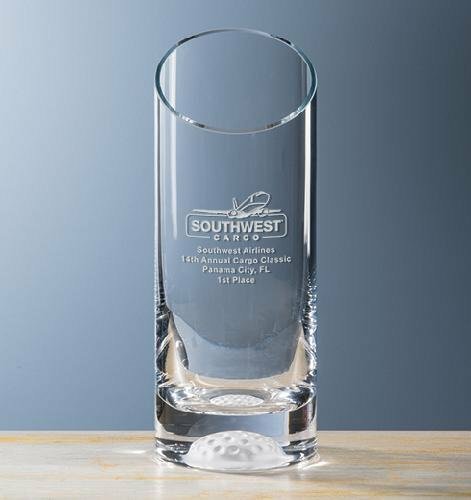 All of our crystal awards come to you in a Premium Presentation Box, which is lined with fabric and a magnetic catch. 3" in diameter and 7/8" thick, this round paper weight is faceted all around to catch and reflect the light. Personalize on either the front or back for a functional award to recognize excellence in achievement. This exquisite paperweight is packaged in a velvet lined gift box. 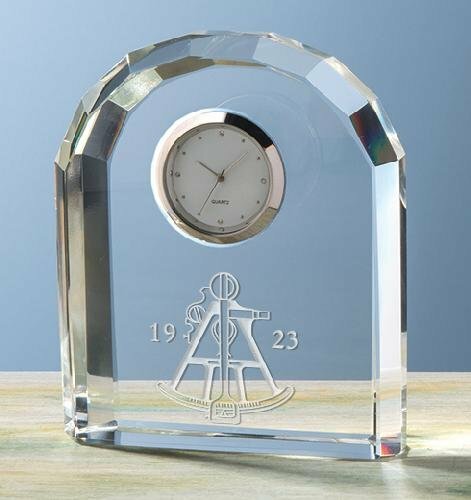 The clear and sturdy Fantasy clock offers optimal creative personalization, the ideal gift to engrave a quote or logo. * Clock face is 1-1/2".